A 35-year-old man, who was reportedly in an inebriated state, jumped into the lion enclosure at the Nehru Zoological Park in Hyderabad, India, on Sunday. 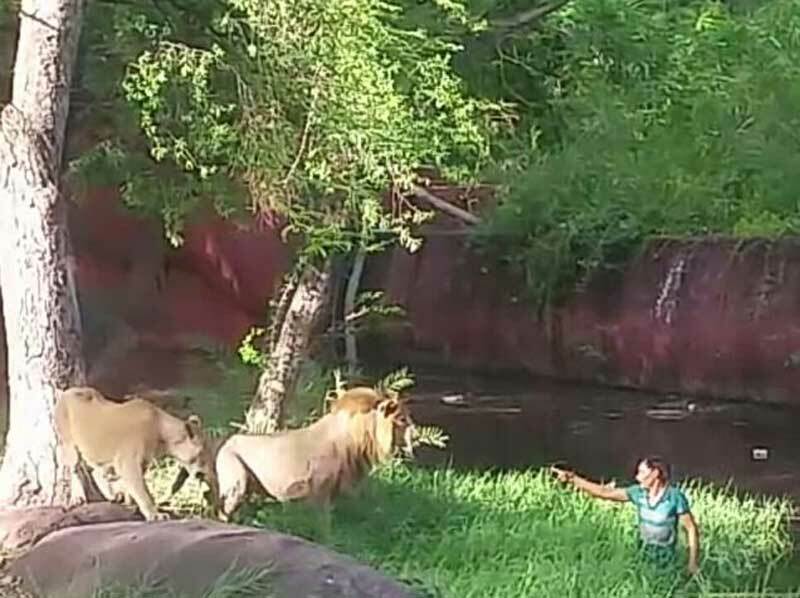 Luckily, minutes later, the man was pulled out unharmed by zoo security personnel while the animal keeper diverted the attention of two big cats, which came dangerously close to him. The intruder, identified as Mukesh, a native of Kurdiya village in Seekar district of Rajasthan, works as a helper with L&;T Metro rail and stays at Chaitanyapuri. On Sunday evening, Mukesh, apparently in an inebriated condition, went to the zoo along with five friends. At 4.55pm, Mukesh climbed the lion enclosure fence and got into the moat. "Even as security staff kept warning him, Mukesh crossed the barricade and went into the African lion enclosure. A lioness, Radhika, was inside the enclosure," Nehru Zoo curator Shivani Dogra said. Noticing Mukesh, Radhika, the nine-year-old lioness, came close to him, almost to the edge of the moat. A little later, an Africal lion, Kishan, joined her. But animal keeper R Papaiah, who takes care of the big cats, called them and directed them to go towards the other side of the enclosure. "The two big cats followed the instructions of Papaiah and went away," zoo chief security officer, J Muralidhar, said. 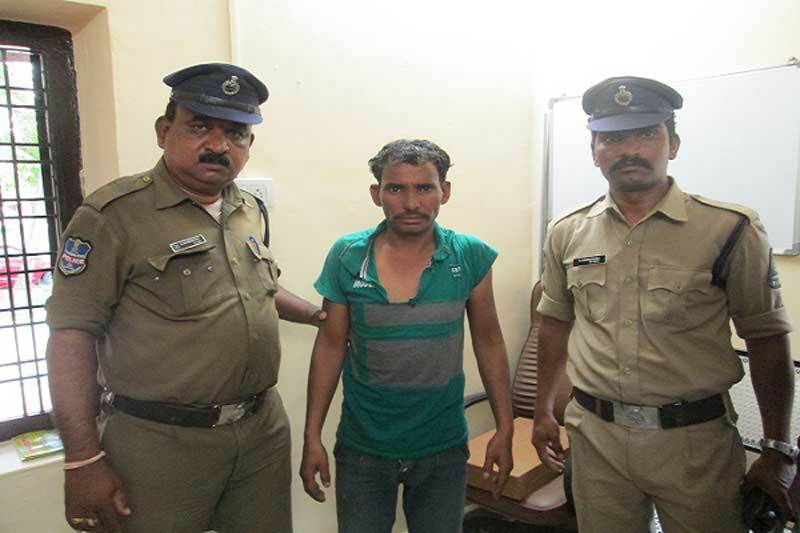 "The intruder was rescued by animal keeper R Papaiah with the assistance of security personnel." Zoo officials then handed over Mukesh to the Bahadurpura police. "Except for a scratch on his leg due to the fall in the moat, Mukesh did not suffer any injuries. We are questioning him and his friends to know the motive behind the crazy act," Bahadurpura inspector Harish Kaushik said. Police are planning to book Mukesh under trespass and other relevant charges.